Jule Krüger joined HRDAG as a field consultant in 2009. She conducted data analysis of human rights violations during armed conflict in Liberia and other locations. She co-authored the HRDAG Report and Annex to the Final Report of the Truth and Reconciliation Commission of Liberia. Jule has used the automated matching program developed by the Benetech Human Rights Project to match records of civilian killings across datasets for conflicts in Kosovo and Sierra Leone. Between 2012 and 2014 with Patrick Ball, she completed a statistical expert review of the Kosovo Memory Book, a database by the Humanitarian Law Centre and the Humanitarian Law Centre Kosovo of human losses related to war in Kosovo. Since joining HRDAG, Jule is collaborating with other HRDAG members and with partnering political scientists on a number of research projects on data reliability and measurement of lethal violence in academic conflict research. With Kristian Lum, she is currently conducting a study of the Kosovo Memory Book database to validate previous HRDAG estimates of massive human rights abuse during armed conflict in Kosovo. 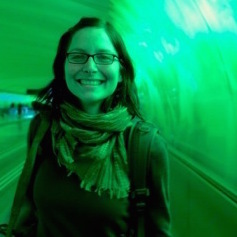 Jule is a research associate in the Social Science Data Analytics Initiative at Michigan State University. She studies conflict and violence, exploring causes, dynamics, and intervention efforts. Jule is particularly interested in how data on political violence is generated and the effects this has on the validity and reliability of empirical analysis. She holds a doctoral degree (2014) from the Department of Government at the University of Essex/UK, and a master of arts (2008) in Political Sciences, Law and History from University of Konstanz/Germany. You can find Jule on Twitter @ju_kru or on her website.